AstraZeneca has launched a comprehensive Gout education app, called Inside Gout. The app is free to download and contains stunning 3D animations. Inside Gout takes you through Purine metabolism and Uric Acid excretion. The app starts you off with the various food groups that increase Purine metabolism. From there you go into the pathophysiology of Gout. 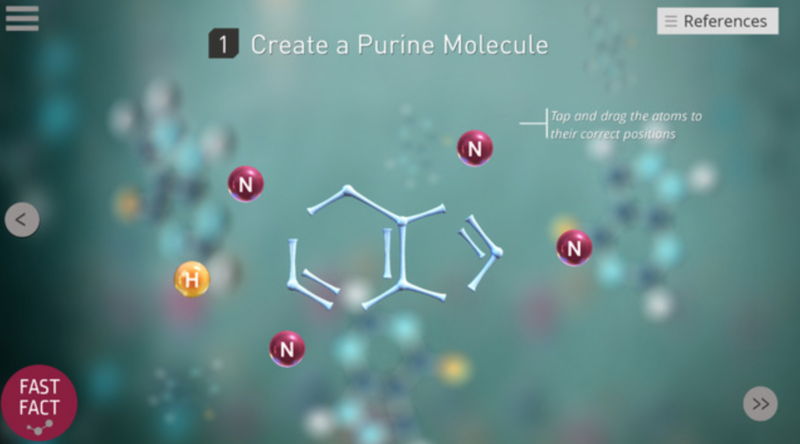 The app lets you create and manipulate Purine Molecules — taking you back to organic chemistry and biochemistry (which might freak some people out). The 3D animations are absolutely stunning, and the time and effort that went into this app are obvious. 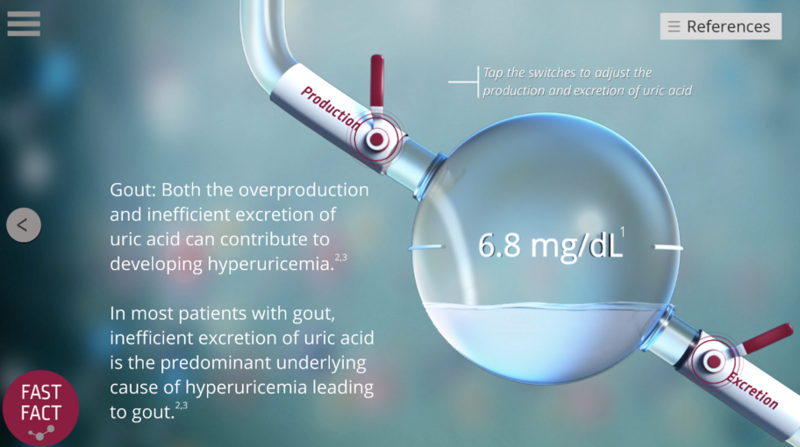 I kept thinking about how awesome it would have been to learn about Gout using these interactive animations in medical school. Although produced by a pharmaceutical company, the app doesn’t feel sketchy, and doesn’t have references to AstraZeneca’s drugs. I’m surprised they market this app to be used only by health professionals — I could see patients getting use out of this app as well. Overall a great interactive learning app for Gout pathophysiology.